Completing my 2012 photo book was on the short list of things I wanted to accomplish before my maternity leave ends this week. Hooray for getting it done. Once again I'm using Blurb mostly because I'm used to them by now and have three other books to go with. Aside from one company I didn't like the quality of, I haven't used any of their competitors so I'm not sure if this is the best option but it's good enough (I still think they should have better cover options but oh well). Want to see more? Check out Away We Go 2009 (and what I thought about it here), Away We Go 2010 and Away We Go 2011. For obvious reasons, the format of this one was a little different than our prior travel only books.  Instead of "Away we Go", its "We Become Three" - which Mr. Limestone thought was too corny but I forged ahead with anyway. Maybe I'm getting soft in my old age? I also started adding a few instagram shots to create context for each month. Even if they aren't perfect shots, they remind me of a little things that were happening during that time. Based on the sheer quantity of Agatha photos I've taken this year so far, I'm sure the 2013 book will very different again. wow! not only are your pictures so beautiful but i love that you have them all in 1 place to look back on in the years ahead. i really should do something similar! I love your yearly books and living vicariously through your travels! Your recommendation of Blurb is what led me to use them when I created my vacation book last summer. Their quality is hard to match! That is beyond fantastic! Beautiful pic's. This is so amazing. I actually completed my first Blurb book as well for 2012 and am in love with it. If you don't mind me asking. How did you include the above flip book? As it is wonderful, and I would love to show my work on my blog as well. realmofnevermoore@hotmail.com - Thanks so much. So beautiful. You have inspired me, definitely on my TO DO list. How wonderful to do so much traveling - I'm inspired by that too! Wonderful pictures!!! You both must have very flexible jobs. You travel more and to the most interesting places!!! Aw, I love it, I love it, I love it! We use Blurb for all of our photo books too - after a handful of books, it's like you said: I'm familiar with their format, and they're good enough! They're awesome books for their price point. Love it, love it - I keep telling myself I want to start doing an annual year book...just need to get on it already! I was just wishing that I could hire someone to get on my computer and organize my photos. They are my treasures! You have inspired me! There are two methods of loading books in which method do you use. I haven't used it for a year and I basically did my pages in photoshop and saved them as a jpeg then brought those in like that.